I was so excited the other day when I received Dandelion Designs's new stamps for Halloween that I went straight to my craft room. I also love these new papers from Doodlebug Designs. I used Tim Holtz pocket envelope die for both projects. 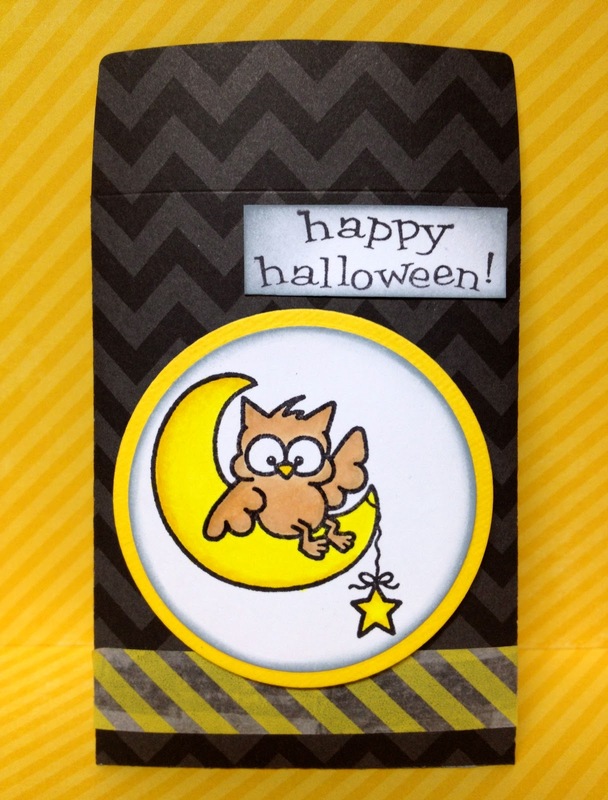 The first stamp is called Halloween Night. I used distress ink for all the white edges. I can't remember the names of the inks I used but they were perfect for inking the edges. I love this yellow striped washi tape from Freckled Fawn. I didn't want to put a ribbon on this so I went with the tape. If you plan to use washi tape on your projects, it's best to add some adhesive to it so it sticks permanently. 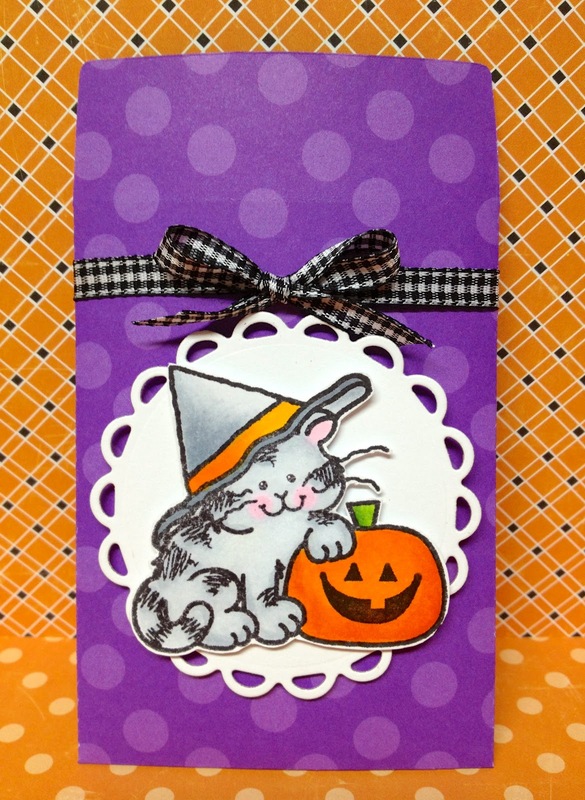 Here's the next pocket envelope using Pumpkin Kitty. This stamp set comes with the jack o lantern face and I felt so silly staring at it wondering how I could use it and then it hit me. I'm supposed to stamp it on the pumpkin! Lol! Thanks for stopping by for a visit! Have a great weekend!!! So cute...getting me inspired to dig out my Halloween stamps! Love both card Cheryl. Super cute images. My fave though is Pumpkin Kitty because she look so much like our cat who's about 11 years old. With age, she has "bad fur days." Hee-hee. Have a great week. Super cute Cheryl! Cute Halloween images are the best!